The average for my two classes was 86% with a median of 91%. There were 5 perfect scores. I have to share with you the picture below of how a student used highlighters to organize a graphing problem. 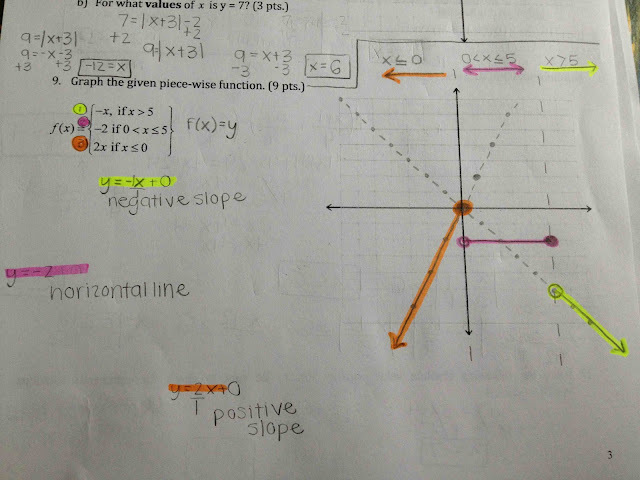 Highlighting can be really helpful in math, and I know many students are using Notability and its array of colors and highlighters effectively. When graphing a line, some students are still not connecting the dots. When asked to graph, you can always plot points if you don't know what the graph should look like. Remember I suggest starting with -1, 0 and 1. 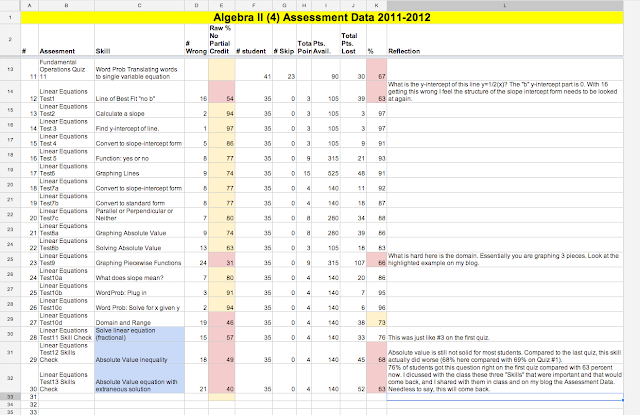 Finding the vertex of absolute value graphs still seems tough for some. What is the y intercept of the equation y=2x? This was number one of the test. What is zero times any number? I think even graphing y=-x is challenging still for some students. What is the slope? What is the y-intercept? 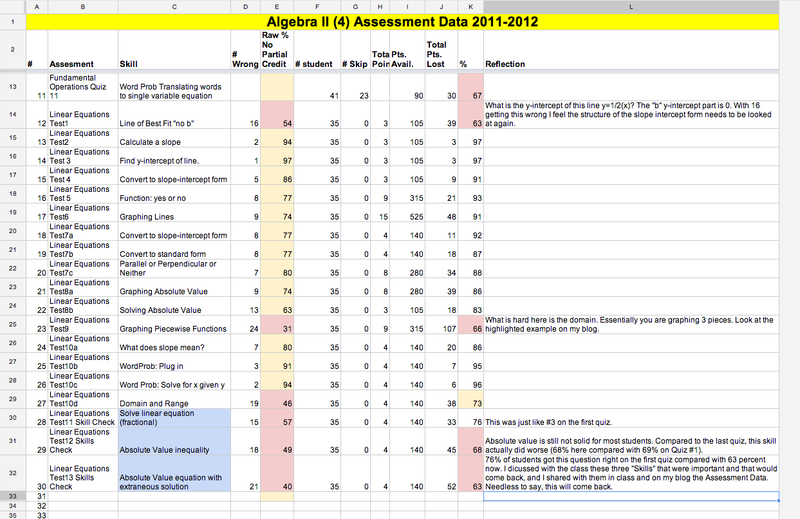 Now take a look at the Assessment Data and compare your test with how our two classes did. In red below we have the Line of Best fit (#1), the piecewise function graph (#9), and the 3 skills checks that were meant to be a reteaching from the last quiz. All of these will likely come again. We'll review in class, but you may need some additional practice with me, say in X block, to make sure you understand these fundamental skills.